At Wesling Chiropractic Center, we recognize that your choice of a chiropractor in Wentzville is driven both by the chiropractor's competency and personality. When searching for chiropractic treatment, you need a chiropractor who is experienced, understanding and supportive. You get this caring attitude from all the staff at Wesling Chiropractic Center every day. Our staff works together as a team to ensure we are responsive to your needs and keep you informed about your health issues. We look forward to getting to know you. For the last 10 years, Dr. Wesling has been serving the St. Charles and Lincoln county communities. 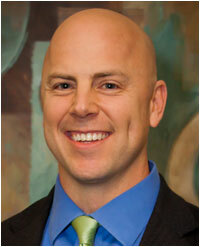 He made the decision to open Wesling Chiropractic Center in Wentzville in September 2011. Dr. Wesling is excited for the opportunity to continue providing patients in the Wentzville area with their chiropractic needs. Dr. Wesling is a graduate of Hazelwood Central, in St. Louis County. He attended Southwest Missouri State University and finished with his Degree of Chiropractic at Logan College of Chiropractic in 2001. Dr. Wesling’s patients benefit from his broad spectrum of techniques which allow him to personalize care to maximize both comfort and results. From two days old to too old to admit, from marathon runner to TV series marathon watcher, each patient of Dr. Wesling’s receives safe, gentle, and effective holistic care. He is passionate about his work, and his focus is on restoring and maintaining patient health and wellness. In his free time he enjoys mountain bike riding and weight training. 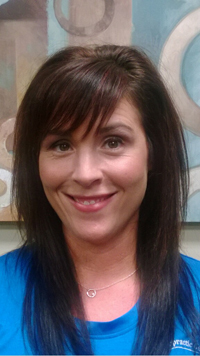 Karen loves working with Dr. Wesling because he provides amazing care and treats one patient at a time. Karen has been a patient of Dr. Wesling for over 5 years and knows firsthand what chiropractic can do for your health and wellbeing. She enjoys working with the patients to get them the care they need. Karen is a wife and mother of 2 beautiful children.